To offer a reliable Linux VPS hosting service, we only use the RAID 10 technology, the fastest RAID technology in the market today. With our unlimited instant OS reinstall feature, you can always reformat your VPS anytime you want through the control panel. Our premium equipment and facilities allow us to provide quality, uninterrupted service. We have powerful CPUs, SSDs, and more! Access user controls and back-end features through our user-friendly control panel interface. You can boot, reboot, reinstall, etc. Our low latency premium network ensures a smooth and enjoyable experience through optimized routing. We don’t oversell. We always strive to provide you with the best performance we can give! What you see is what you get! All plans are setup instantly within 30 seconds! Our team of professionals is always here to help solve your issues. Protect your data and keep your information secure. This is possible through our 24/7 server monitoring feature to prevent possible attacks or breaches. We have a lot of resources at our disposal. This allows us to provide you with a smooth and quick performance. You don’t even have to worry about server freeze-ups. Need Expert Help? Consult Us Now! Professional support, reliable performance, valuable consultations. Take a look at how well our services perform. We keep you updated in all aspects of our services because we believe that transparency is the key to a great working relationship with our client. You need a hefty amount of cash for a quality hosting service. VPS Malaysia offers affordable hosting solutions and services without burning a hole in your pockets. VPS Malaysia ensures your product are activated instantly after the purchase order, so you can get and use your product immediately. We value these 3 core factors. As such, we strive to provide all three to you, our value customers. Through this, we can bring you a highly reliable service. I hosted my application on their VPS recently. While I tried many other hosting companies before, VPS Malaysia has the highest performance (although the given CPU memory and disk are similar). I created my VPN using their VPS service, and their network speed is really good. The support team is quick to respond to my technical issues. Overall, I am happy with their service. We do not know how to manage the server, but VPS Malaysia support team set up all of our company mail servers for us. Friendly, fast support team with a price that is reasonable. We use Linux VPS to create share hosting for our customers. So far, we’ve achieved very good performance and speed compared to shared hosting packages. Thanks VPS Malaysia. Linux VPS means any Linux-based operating system that’s running on VPS. Most Linux OS come for free and Linux VPS is one of the least vulnerable to exploits. Do you use SSD Disk? Yes, we do. Each of our plans is backed with Enterprise Grade SSD. Do you have Linux KVM VPS? Yes, we do. Compare plan for Linux KVM here. No. Unfortunately, we do not offer free backup service. If you really need it, you can add on Fully Managed Off-Server Backup (R1Soft). What kind of disk system do you use? We use RAID 10. It is the most expensive and has the best performance among all RAID systems. We don’t mind the high cost, as long as we give you the highest quality. Of course. You will remain in total control of your very own server. Can I reload a new OS template anytime? Yes. You are free to reload a new operating system whenever you need to. Can I host a website with Linux VPS Hosting? Yes. However, you need to set up and manage the control panel. Linux VPS doesn’t come with Website Control Panel such as Webmin, cPanel, Kloxo, and so on. If you don’t know how to go about it, you can just grab the Management Service add-on for RM100 per month. Does Linux VPS Hosting come with Graphical User Interface? Yep. We offer you built-in KVM console to successfully access your Virtual Private Server from your site browser. Can I upgrade to higher plan in the future? Yes, you can. You can do it anytime without having to worry about data loss or downtime. 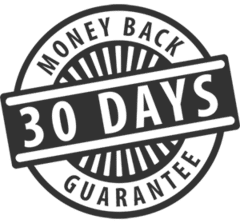 VPS Malaysia offers a 30-day money back guarantee without conditions. In case you are not satisfied with the service, you can request a cancellation within 30 days after signing up. We will then refund your full setup fees and monthly cost. The only exception of not granting a refund request is if the user has done prohibited activities including hacking, spamming, and other activities against our terms of service. We accept PayPal, Credit and Debit Card (Visa/Master), Malaysia Online Banking, JomPAY and Manual Bank Transfer. Do you have a hidden fee or setup fee? Our services don’t have any hidden fee or setup fee. No contracts. No strings attached. You have the freedom to choose monthly, quarterly, semi-annual, or annual subscription. If you want to test our service, you can just sign up for a month and proceed to an annual plan when you’ve decided to stay with us long-term. Do you offer Windows VPS Hosting? Experience Our Linux VPS Risk-Free Now! Try our 30-day trial without any risk! If we can’t meet your expectations, you can have your money back. NO STRESS OR HASSLES INVOLVED. Contact our customer support now! Terms and Conditions Apply.